Odysseo by Cavalia has been playing in Chicago for three weeks, opening to throngs of happy crowds under the big top outside of Soldier Field. We were invited as a family to go to opening night. The TEENAGER has been riding horses since she was the TODDLER and this was going to be a magic night of horses, showman ship and fun for the entire family. We missed the show. We didn’t just miss “a show” we missed 65 majestic horses and 48 riders, acrobats, aerialists, stilt walkers, dancers and musicians performing under the White Big Top at Soldier Field South Lot . CRAP! We missed mind boggling theatrical effects, a state-of-the-art video screen three times the size of the world’s largest cinema screens; a three-story mountain for dazzling perspectives; décor both intricate and grandiose and a real lake made of 40,000 gallons of recycled water which magically appears for a splashing finale. We missed a show that creates places no one has ever seen before – places where one can feel the deep connection between horse and man and awesome snacks! Stupid kids! They ruin everything! 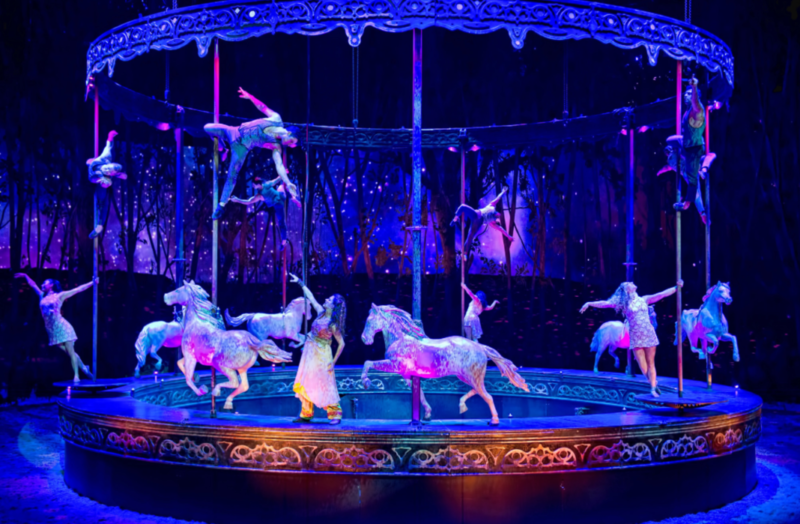 As we sulked and recovered the kind folks at Odysseo by Cavalia invited us back to the performance this Friday and also let us know that if “vomit tsunami” strikes yet again, they have extended the show through May 7th! Which is not only good for my weak stomached family but the rest of Chicago-land. 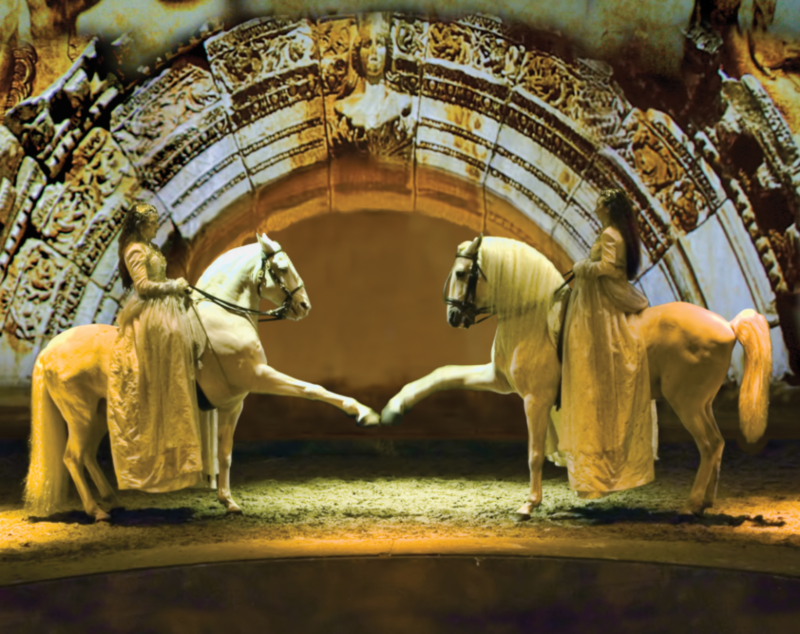 If you haven’t checked out Odysseo by Cavalia, here’s the information you need to know. TICKETS: Available at www.cavalia.com, or by calling 1-866-999-8111. Adult tickets are priced from $34.50 to $144.50 (service charge included). TREAT YOURSELF AND YOUR GUESTS TO AN EXTRAORDINARY VIP OUTING. The Rendez-Vous VIP package offers the best seats in the house, a full meal buffet before the show(SNACKS!! ), open bar, desserts during intermission and an exclusive visit to the stables after the show. This unique VIP experience takes place in a tent alongside the White Big Top. The Rendez-Vous VIP package prices range from $144.50 to $269.50 (service charge included). Baring any gastrointestinal disasters we will see you on Friday night. Make sure to check out Twitter and Instagram (click on those words to follow me BTW) for our journey to Odysseo by Cavalia! Previous story Chicago It’s Time For BaconFest! Next story Ninja Coffee Bar Glass Carafe System Father’s Day Gift Idea!